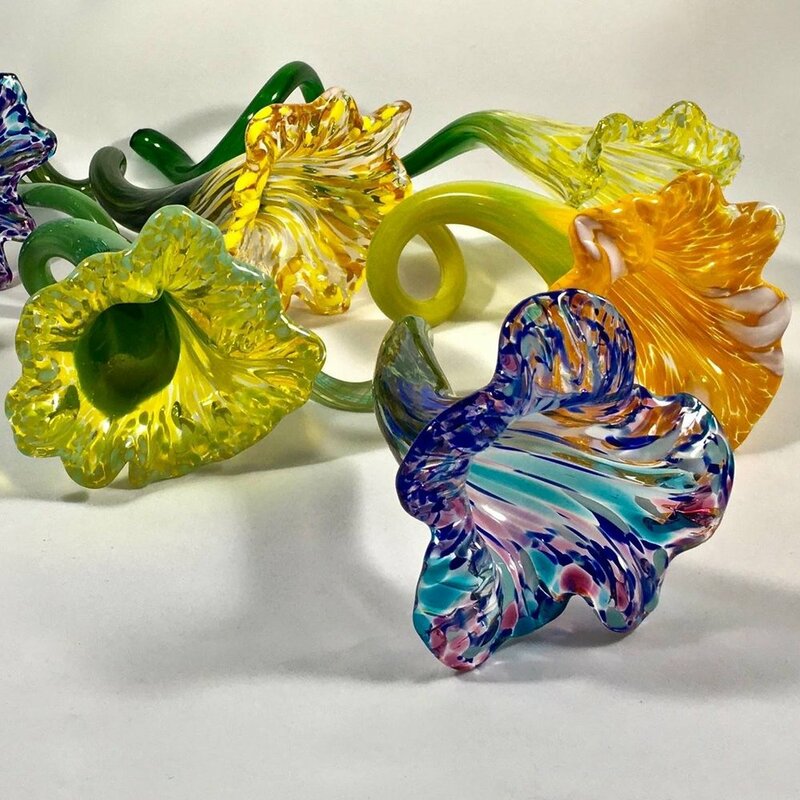 Learn about working with hot glass and create a beautiful glass flower in the process. Glass flowers make wonderful gifts or decoration for your home, plus they're fun to make. Experienced instructors will help participants create their own unique flower in colors of their choosing. No experience necessary. For safety considerations, participants must be 12 or older. Flowers will be ready for pick-up or shipping the week following the workshop. Shipping will be an additional fee. Please let the instructor know at the time of your workshop if you need your flower shipped. Cancellation Policy: Due to the popularity of our Make Your Own series, cancellations must be made within 7 days of the class date. Cancellations made by April 27 will be fully refunded. Cancellations made after that date will not be refunded. Participants must wear closed toe shoes and natural fibers. Jeans, t-shirts & sneakers are okay. No sandals or polyester.